It almost never happens. The train that takes me from Brussels to London in less than 2 hours, passing below the English Channel, is an hour late. It’s nothing more than the last hitch, hopefully, before we can “take possession” of our gem: Forex Nation CIC, the first and only ethical trading broker in the world. I am going to meet my friend Enrico Garzotto on the Berkeley Square, so we can sign the agreement with those who will provide the technological infrastructure – our Key to Markets friends – then lunch at Whole Foods and finally a quick trip to the legal office that helped us accomplish the miracle: incorporate a trading broker with an unprecedented company form, a hybrid between a foundation and a trading company, the Community Interest Company. This is a special day, the end of an ordeal that lasted years, started in Australia, where Forex Nation had to close due to incompatibility with the country’s legal system, and continued over the past 6 months with a worldwide journey in search of a country where we could revive our project with a legal form that would fulfill our needs. Our dream was to replicate the Australian experience in a different country and establish a charitable foundation that could operate as a broker. Something impossible to achieve. Conceptually and practically, worldwide, foundations do not do business, they do not provide services or sell products, they receive donations. Period. We weren’t interested in establishing just any company that would claim to give its profits to charity, for the sake of transparency we wanted a third party to ensure that this would happen. And this is where Enrico Garzotto’s genius,passion and sleuth talent came into play, pulling the UK CICs out of the hat. Bingo! Not so much. Everyone tried to dismantle us: you’ll never be accepted. We look at the other CICs and, in fact, they are almost always local projects, selling tickets for sports or artistic events to finance a dog shelter in the Bristol district, etc… Not one company with international views, not one company (obviously) intending to deal with finance. We give it a try anyways. We risk: we invest in the legal operation. It’s our only hope, if this doesn’t go well, we are done. After weeks of writing the application in “legalese”, we finally send the request and… We are rejected. The legal office tells us that just by changing a few words we may still have a chance, but they ask for more money to carry forward the procedure. We say OK. It’s all or nothing. We change the business model for the umpteenth time,working with extreme care, we send it in and we wait. Two weeks go by without any news from London. We start to lose hope, we’ve surely been shelved among the “clinical” cases and months, even years will go by just to be rejected again. But then one day, two weeks ago, Enrico and I, during a casual Google search (true story), see our names written in the register of directors of the newly founded CIC Forex Nation. We can’t believe our eyes; nobody had told us. It’s Friday afternoon, the legal office is already closed. The weekend passes by in anticipation and finally, on Monday, we receive the confirmation: you have been accepted. What a strange way to find it out. And here we are now, ready to go and make it official. 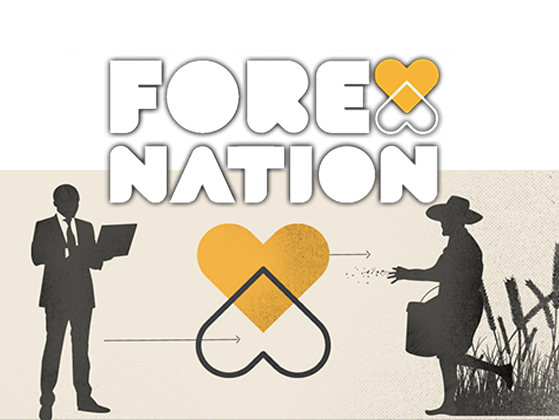 Forex Nation has been reborn, and it is a unique project that electrifies us not only for its, let’s call it, “do-gooder” side, but also for its “irreverent” and “pirating” nature. The fact that it represents an anomaly, a loose cannon, the proof that all protest movements of the world (from Occupy onward…) never understood a thing. Declare that finance and money are the evil of the world is like blaming electricity and not the executioner when someone is fried on the electric chair. We believe in the energy of money and we intend to hack the mechanisms, clearly faulty, with which it frequently circulates, in order to make them more evolved by creating an infinite chain of “win-win” situations. Details regarding this “chain” will be available shortly; we are working with a team of researchers from the best Universities in the world to make everything proved and official. Don’t make me say more. We realize that it is an extremely ground breaking project, perhaps even utopian, but that is why, in our eyes, it is so exciting and it must be pursued to the end. That became clear to us not only because of the above mentioned legal difficulties but also because of the complete lack of interest that our project generated among the major players in the contemporary online trading world. We knocked on the doors of all the largest brokers to get support, even if only symbolically different and more beneficial conditions than those offered to others, considering our particular nature of an ethical broker, and no one, no one in the world gave us anything. We’re not talking about millionaire budgets, but about slightly more advantageous economic treatment and costs than the standard ones, given the unique nature of our project. Nothing, nada, zilch. Only the KTM guys proved to be up to the task of helping out with our project. None of the Majors even gave a cent, proving that they are exactly what we thought of them (censored), but also that they don’t have the minimum long-term vision of their businesses. Let me explain. If we want to be cynical, a project like ours, and this is clear even without a degree in marketing, brings benefits in terms of image that are potentially insane. They had found someone who would’ve done the job for them, and they shut the door in our faces. This is a symptom of the fact that there is still much to be done, that man is not yet ready to understand that the only possible wealth is the one which is shared and sustainable. And we are not talking about real neo-socialism, not at all, we are talking about karmic laws. The rules on which our entire existence rests, they are unavoidable and sooner or later punish us. But, as usual, it’s fine, “They not know what they do”; it’s our job to make them understand.